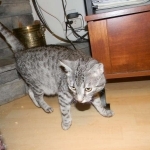 Prissy is a full sister of BB and Screamer. 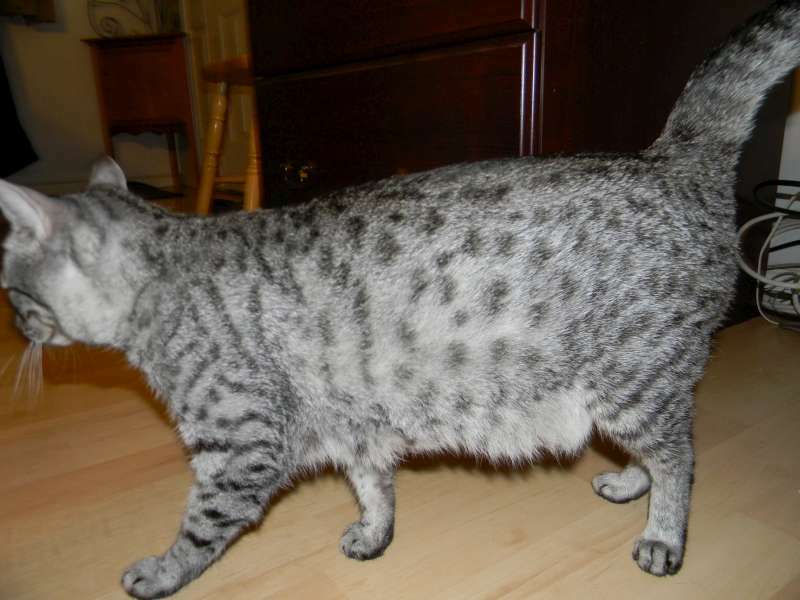 She and her sisters were bred here at Belle Hollow from Merit, Egyptian Mau, and Blue, Siamese cross. 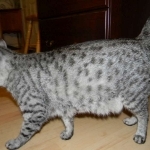 The EM X Oriental cross makes for longer gestation periods and the F-6A kitten are perfect for F-1 producing queens. 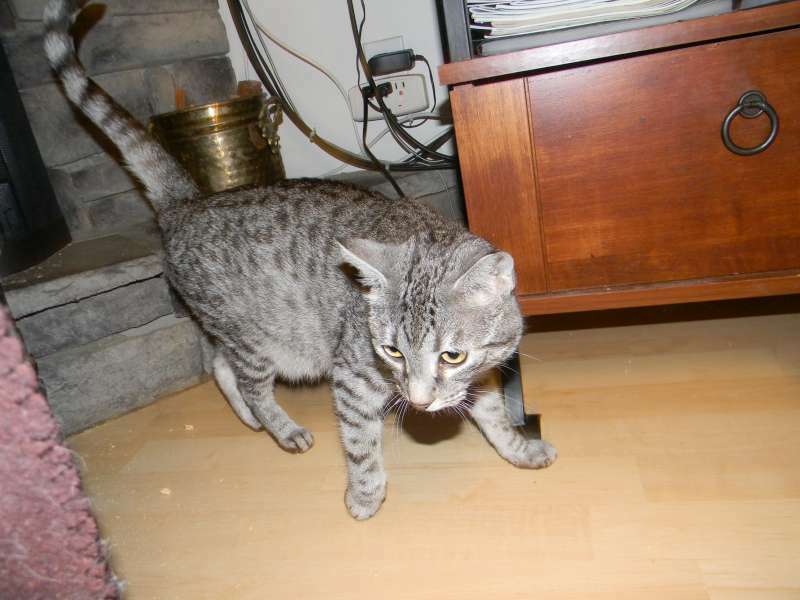 Prissy is a lovely girl and has her silver Egyptian Mau fathers good looks. 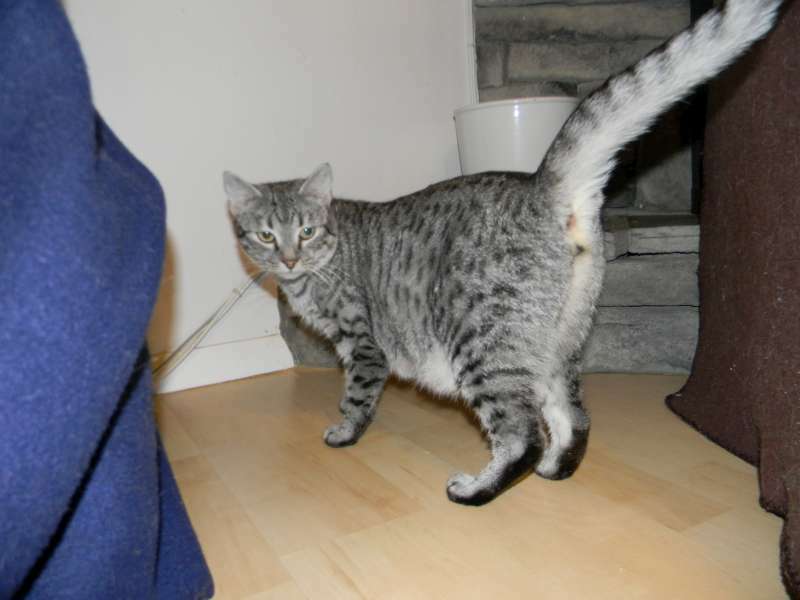 Prissy looks like an Egyptian Mau but with her Siamese cross she should give us excellent F-6A for our F-1 program.